The Department of Transportation (DOTr) has launched the "Ube Express," a premium airport bus service that caters to arriving passengers at the Ninoy Aquino International Airport (NAIA). The Ube Express will provide its premium services to availing passengers of all NAIA terminals, GMA News reported. The service has various stops in three routes including the Makati business district, Roxas Boulevard, and Intramuros in Manila. 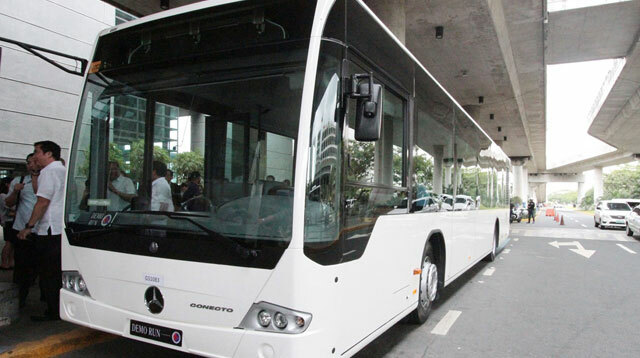 For just P300, passengers can enjoy the newly purchased 24-seater air-conditioned Mercedes Benz buses complete with WiFi and CCTV security systems. Even better news? Prices will be lowered to an introductory fee of just P150 until December this year. Meanwhile, ABS-CBN noted that the NAIA Expressway will be open starting September 22. The NAIA Expressway will provide a direct route from NAIA Terminals 1 and 2 to parts of the south including the Mall of Asia and the Cavite Expressway. Motorists will be charged a toll fee of P35 to access the said expressway. Two other road-decongestion projects linking NAIA to other expressways will be complete this December and January.